The CU Dems are proud to be Columbia's premier provider of Condomgrams. and ​administrators across campus. All funds go to Planned Parenthood! Find us tabling leading up to Valentine's Day 2018! What comes in a Condomgram? How can I buy a Condomgram? We sell Condomgrams every year, in February, during the week before Valentine's Day! We normally have booths set up on the Lerner Hall ramps or on Low Plaza near the sundial. However, in the unlikely event we need to relocate, we'll make sure to announce it on our Facebook and Twitter. If you're desperate to purchase a Condomgram but can't seem to track us down, you can also feel free to reach out to us directly. Condomgrams are $3 each, or $5 for 2. ​We accept cash, checks, and credit/debit. After purchasing your Condomgram, simply fill it out with its recipient, their residence hall building, and their room number. You can also add in any message you'd like us to pass along. ​We'll hand deliver the Condomgram on your behalf sometime over Valentine's Day weekend. All proceeds from the our Condomgram sales go directly to supporting Planned Parenthood right here in New York. 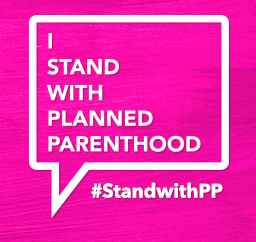 Planned Parenthood is a trusted reproductive health care provider with locations across New York City. ​Believing that 'Planning is Power,' we promote awareness about contraception as part of our commitment to prevention and proactive education. Likewise, our community and educational initiatives empower teens and adults to make informed and healthy decisions. At the same time, PPNYC works to protect the right of every woman to decide for herself when and whether to become a parent." Q: Do I need to be ____ to buy a Condomgram? Nope! As long as you're sending your Condomgram to somebody in the Columbia University community, you are able to purchase as many Condomgrams as you'd like no matter who you are. Q: Who delivers the Condomgrams? A team of happy and dedicated volunteers from the Columbia University College Democrats will deliver your Condomgram. Q: What happens if the recipient is not there when you try to deliver their Condomgram? In this unlikely event, we'll leave the Condomgram at the doorstep of your intended recipient, just like UPS or FedEx deliveries might be left at your house or building. Q: What if I want to send a Condomgram to somebody that doesn't live or work at Columbia? Unfortunately, due to safety concerns, we can only deliver Condomgrams to locations in the Columbia community. Note that we WILL deliver Condomgrams to residents of Barnard College residence halls, Union Theological Seminary residences, and University Apartment Housing. ​Feel free to reach out to us directly, or ask us at the booth!